Hi, my name is Giridhar Reddy, a Lawn Tennis Coach. I joined CHIREC in 2002. I am an BE graduate in ECE and a former National and University player. I want my students to perform well as they progress in their Tennis skills by trying to implement new techniques with respect to the game. We the CHIREC TEAM won the CBSE Nationals in 2005, 2006 and were runners-up in 2004 and 2013. Over the years had good students like Divija Mandava, Prabhav, Saiteja P, Lalitha D and Ananya M who have achieved and made great strides. Today we have many promising players. I look back with a sigh of satisfaction, a sense of fulfillment and achievement. Yet, there are always miles to go, and promises to keep! Personally, I have been constantly encouraged and mentored by my employer Mrs.Ratna Reddy to take up new and challenging responsibilities and constantly engages me to set higher goals. My name is Pratibha Srivastava. I am a Biology facilitator and Head of the Department of Science in International section of CHIREC. I hail from U.P and have been in the field of teaching for 14 years. I teach Biology in IGCSE, A LEVEL and IBDP. I relocated from Delhi in 2007 and was staying at Gachibowli. Considering its great reputation and proximity from my house, I applied to CHIREC and after going through a rigorous selection procedure consisting of a written test, interview and a demo session, I became a part of CHIREC. Initially people around me discouraged me from joining CHIREC given it s rigorous reputation. So with apprehension I joined. On my first day I was given a warm welcome by then HOD Ms. Ragini Suri who is currently the Vice Principal of International Section and very soon I adapted to working at CHIREC. And here I am, in the 9th year! CHIREC has always provided me with immense opportunities for personal and professional growth. For 3 years I taught in CBSE when the school only offered the CBSE curriculum at senior secondary level. Later in 2011, CHIREC began offering the Cambridge curriculum and I was moved to the International Section. The transition was not easy, it was highly challenging but with hard work and exposure to various professional development workshops and trainings by experts helped me develop skills to handle the International Curricula both Cambridge and IBDP with confidence. I get great satisfaction and happiness when every year my students pass with flying colors. Recently my happiness and pride increased manifold when one of my students of Cambridge batch of 2016, Tania Shukla received the Outstanding Cambridge Learner Award for securing 1st rank in the country in Biology. There have been numerous memorable moments during my journey at CHIREC but special compliments by a few parents, receiving the certificate of appreciation on teacher’s day and visiting NASA in the US with students are some of the very fond memories in CHIREC. When I am not teaching, I love listening to music, watching movies and sometimes write short Hindi poetry. I love ghazals and I am a great fan of ghazals of Late Jagjit Singh ,Pankaj Udhas and Talat Aziz. I never miss a chance to attend music concerts organized in the city. I’m Sudeepa Nuthulapaty. I m a French teacher in CHIREC. Teaching is a profession that I cherish the most. I have been immensely supported from the day I joined till date and this is undoubtedly the best place to work. I like working here because CHIREC gives me an opportunity to enhance my skills. I wish to share with you, an experience that has inspired me to become a teacher. During the late 1970’s Andhra Pradesh was hit by a viral epidemic that took many lives. I was one of the many who suffered due to the outbreak. When I was 2 years old, I had a very high fever and meningitis (Infection in the brain). I was very badly affected and I lost my voice. I was paralyzed from my neck down and my family lost all hopes that I would survive. To the doctors’ surprise I escaped death but the viral attack affected me with polio. My deformity made me feel inferior and I shunned all company, cocooning myself from the outside world. I didn’t want to show it but then I used to cry and I used to hate my life. I felt that I was an utter failure and was absolutely alone. I failed in all the subjects as a student. I’m from a family of achievers and I was the only black sheep the cry baby the failure. My parents made me repeat my grade 9 as they didn’t want to face the humiliation of having a grade 10 failure in the house. I remember one day the class was asked to write an essay in English. I wrote some text which might have had a hundred grammatical errors and spelling mistakes. When I saw my paper with a smiley on it I was curious to find out what was good in that essay. I went and asked my teacher and I so clearly remember what she said. She told me that a language was supposed to communicate an idea and that she liked the idea behind the language. I fell in love with my teacher and for the first time I started trying to please her. I started learning. I passed out of grade 10 with first division and then there was no looking back. What I really want to say is that a teacher made a difference in my life. I needed somebody to teach me that I could be happy, a true success, regardless of what people thought about me. I want to give back to this noble profession which made me what I am today. I sincerely thank CHIREC for giving me an opportunity and a platform to utilise my knowledge, skills and ideas to encourage, motivate, challenge, engage, inspire and instil love for learning in my students. I am Pratima, HR Manager at CHIREC International since Feb 2013. CHIREC has now become a second home to me. I stepped into CHIREC after a long tenure with the corporate world, with a little bit of apprehension as to how would I fit into a school scenario! It took me a while to get acquainted with the people, processes and procedures and before I realized I was already a part of the system. I was pleasantly surprised when I was once told that it did not look like I was a new employee!! It was as if I have always been around! I owe it to all the nice people in CHIREC who helped me settle down with ease. be it Manaswita Ma am, Iffat Ma am, Ramani Ma am….. Yes, some days are extremely tiring with lots of work, issues to be looked into, but at the end of the day it is quite a satisfying journey. Being an HR professional gives me a chance to touch upon an individual s life directly or indirectly and I always strive to strike the right balance. I love reading book and listening to soft music, but am unable to do so on a regular basis due to paucity of time. But to unwind I do manage to grab a few moments for myself by listening to the Late singer- Jagjit Singh s soulful ghazals. One person we all look up to is our Director Mrs Ratna D Reddy who is a source of inspiration with her constant words of support and encouragement. She is the one who makes us raise the bar! She helps us to strive for perfection and we hope that we are able to meet her expectations! I am Anuraag Agarwal, currently studying in Grade X, CBSE (2016-17) at CHIREC International School. I have been in this school since the past 13 years and I can proudly say that CHIREC has helped me grow into a confident and mature individual. I have shouldered various responsibilities in the school like being the Class Prefect twice (8th and 9th Grade), which taught me team work, as well as leadership, the Secretary of the CHIREC Interact Club (CBSE), where I learnt to be humble and compassionate and make a difference, and being part of the Technical team at the CHIREC MUN 2016 and many others. My biggest passion is music and I play the keyboard and the guitar. CHIREC has helped me and my friends nurture our passion by providing opportunities to form our own rock band -Zero Gravity. We play both at school and outside of school and today we are recognized by most of the schools and colleges across the city as CHIREC s official rock band. Computers is also one of my major interest areas and I am excited to be a part of the CHIREC Pulse team – the official students blog of the school. CHIREC has always provided the perfect ecosystem to enhance my academic and extracurricular skills while at the same time building my character as a human being. I look forward to going to school each morning, and come back having learnt something new from both – my teachers and my peers. I plan to continue my journey in CHIREC for XI and XII and take up more responsibilities and posts so that I may give back to the school which has been instrumental in moulding my personality. I wish to pursue my Under Graduate Degree at one of the top universities in the U.S. and make my school proud. I am Muralidhar Narra, Finance Manager. I have been at CHIREC for sixteen years, and it has been a great experience. The journey has been so productive and engaging that it is hard to believe that it has been that long. Before my time with CHIREC, my learning years comprised of Pre-Graduation studies at Vijayawada and Post-Graduation at Kurnool. This was followed by CA Articleship at Madras. I also completed a degree in MBA Finance. Prior to joining CHIREC I worked in various places at different levels in areas of Accounting and Finance. As I was interested in the field of Education, I explored areas where I would make my contribution in the field and so I travelled to various places like Singapore and learnt more about commercial activities in the field of Education. When I joined as a Accounts Manager, we worked manually on all accounting transactions. Eventually we implemented technology in the accounting system and streamlined all statutory payments. And today with the support of our team all our transactions and systems are maintained in house without any need for out-sourcing. This wouldn t have possible without motivation and guidance from the Director, Mrs. Ratna Reddy. Todays as the Head of the Accounts and Finance Department I am responsible for the department’s smooth functioning of and in charge of major tasks like finalization and income tax assessments. Tax related issues happen to be an area that I have inclination for. It is stimulating and challenging to deal with financial aspects and my strategy is to cope with daily practice of meditation. As much as I come across as a serious and work oriented person, I have a taste for humor and being jovial. Being able to laugh and seeing laughter on other’s faces is also a great boost. That also makes my work environment a home away from home. My name is Anmol Makhija, I hold the position of Head Boy in the Student Cabinet of CHIREC International for the academic year 2016-2017. I ve been in this school for a little more than just a year and I find myself wishing I’d joined the school earlier. The school manages to provide a warm and nurturing environment through its faculty and students and it has given me several opportunities to grow through the past year, I ve evolved from being a timid person, to a person with immense self-confidence. I ve also developed a great passion and zeal to excel at everything I take up, from my studies to my hobbies, I am greatful for the tremendous transformation the school has managed to bring about in me, in just a single year. As the Head Boy and a member of the CHIREC MUN Secretariat, I ve developed several skills such as those of, leadership, communication and problem solving abilities, and as a student I ve become better at my academics and co-curricular activities. Few of my responsibilities include, ensuring that the students are disciplined, and that the weekly inter-house competitions are well planned and progress smoothly. 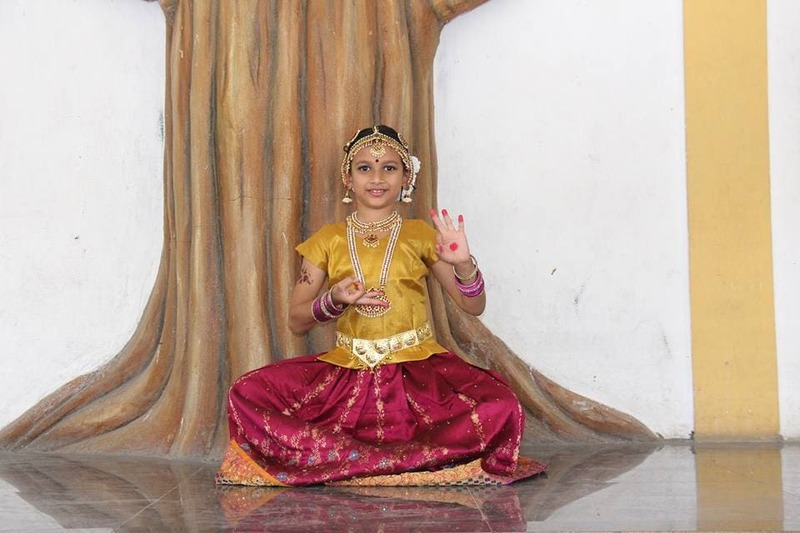 I am Sreeja Narayan, I teach the students of Class 5 in CHIREC. To teach is to touch lives- forever This is what I truly believe in and it has also motivated me to always give in my best! My association with CHIREC dates back to June 2006 and while I pen down my thoughts about this beautiful journey, I realise that it has been 10 long years. Simply unbelievable!! CHIREC has provided me many opportunities to grow- both as a professional as well as an individual. The regular workshops they conduct have helped me keep pace with the fast- changing world, thus preparing me to face new challenges head-on. The unconditional support I ve received from my In-charges and their trust in my abilities has been one of the prime reasons for me to stay on. Also, the love from my colleagues and team- members has helped me gain ground and forge ahead! I have all the while dealt with 10-11 year olds and the enthusiasm they exude is amazing. These students have inspired me, entertained me and I have ended up learning a ton from them. I personally feel that teaching is not about information. It is about having an honest, intellectual relationship with your students. This reminds me of something a parent had quoted long ago- Nothing in this world is completely flawless, except my teacher s advice which is truly priceless! Apart from the fact that it made me feel good, I realized the great responsibility I have as a teacher and how I need to measure each and every word I speak as the impact it would create is tremendous. All in all, it has been an enriching experience and on a lighter note I would like to add that I eat CHIREC, drink CHIREC and breathe CHIREC!!! I am Ananti Mitra, and I teach CBSE English at CHIREC International School. What I never learned at school, college or university was the application of contemporary techniques in imparting English education. I spent two years learning to teach the discipline at the Institute of English in Kolkata from which I emerged 1st in class and the winner of the gold medal in the year 2004. Subsequently, I taught school, college and corporate training in the art of communicative English in Kolkata before moving to Hyderabad in 2005. I joined CHIREC in 2011, and it has been the best place to learn, practice and put into motion all of my knowledge in teaching English to young adults. These students have minds which are open to different interpretations of texts, and are not limited by adhering to syllabi alone. My goal is always to gain and impart a deeper understanding of the emotions behind the words of the text, so that I can help students come to their own conclusions about what is relevant what is in fact essence and what is only surface by challenging them to form coherent answers to questions in the curriculum. When not teaching English, I am a connoisseur and collector of everything Jeffrey Archer, experiment with global cuisine and continental and love exploring the world. I have backpacked over the far flung corners of the National Parks of Utah, Arizona and Nevada, and recently biked across mountains and valleys of Ladakh in Jammu and Kashmir. I have lived in five different cities across four continents, including Singapore, London, and Salt Lake City, and think of myself as a true global citizen. I view my life as a microcosm in the sea of humanity, and feel that my mission is to to try to make a difference in people s lives. I’m also a firm believer in strong interpersonal skills and open communication, and believe that I am someone who can befriend a roomful of people young adults and old alike. To put it simply, I’m a people s person! Someone to share a good thought and laugh with. I am Manila, I teach Hindi to the students at CHIREC. I have been at CHIREC for 16 years. I teach the students of the Primary and Secondary sections and working here is a great learning experience for me as well. It is good to teach both the age groups, my little ones of the primary section are very loving, caring and affectionate. Their enthusiasm is infectious and I’m fully absorbed while listening to their wonderful poem recitations, watching their expressions and voice modulations during the assembly presentations and skits! My older ones are also a pleasure to teach. Their sincerity and dedication towards the subject motivates me to teach them challenging and new concepts. Their quest to know and explore more always keeps teaching a learning experience. My excursions to Ajanta and Ellora Caves, Ooty and Mysore with the students have been one of the most memorable experiences. A concert that holds close to my heart is Navras , where the students presented the nine Rasas or Nine emotions very beautifully. I am grateful to CHIREC for providing different opportunities to grow and giving me the opportunity to do my best. The training sessions and exposure that we get at CHIREC facilitate a conducive teaching learning environment and helps each one of us to understand the students better, and creates a learning atmosphere where the learning is without fear. I truly believe that a teacher’s work affects our future and lasts for eternity! I am Leena Rao, Headmistress Cambridge Primary. I have been in CHIREC since June 2003. The 13-year journey at CHIREC has been an enriching experience! I started as the class teacher for Grade 1 in CBSE curriculum, taught the first batch of Stage 1 for Cambridge curriculum, moved to teaching Stage 4, worked as Primary Wing Coordinator and taught Science to Stage 6. Eventually in the year 2014, I took up the role of Cambridge Primary Headmistress and am thoroughly enjoying it. A teacher affects eternity; he/she can never say when the influence stops, this quote by Henry Adams has had a long lasting effect on me. I realized that the profession of teaching is where you are able to give the greatest gifts to children – the roots of responsibility and wings of independence. The most rewarding aspect of my job is that I am able to contribute towards grooming the students in the age groups of 5-10 to become confident, inquisitive, caring and responsible kids. The factor that sets CHIREC apart from other schools is that it provides the right learning environment both for students and the teachers. The work environment is very encouraging. I feel that for teachers who are committed to their profession, CHIREC is the right place. One of the best compliments that I have received is once when after a presentation to parents, a few of them told me that their kids consider me as their role model and look for my appreciation which motivates them. An incident that I will never forget is when I used to teach Stage 4 The entire class presented me a scrap book that had each student writing a page about me and it was so gratifying to note that I was able to have a positive influence on each of them. The book is something which I will always cherish. I like spending quality time with people whom I care for, watching funny movies, listening to music, traveling and with friends catching up. I have completed my education in Hyderabad and have visited many places in India, owing to my husband being an army officer. My journeys abroad have been an enriching experience, I traveled to Boston for the first teacher exchange Program between CHIREC and Thayer Academy, in 2009; to Cambridge Conference at Singapore in 2013 and to Cambridge in 2016 for a training program for Cambridge Primary Global Perspectives Pilot Program. My children are my source of happiness and my family is my pillar of strength! I am RSAP Sharma, better known as Sharma Sir at CHIREC. I am the IT Manager and have been with the school since 1996. I had joined as a Computer Teacher at the Jubilee Hills branch. I coordinate with the Administration and IT team to ensure that we use the latest and safest technology to facilitate teaching at its best and enhance our in-house systems. I have worked on technologies form as basic as MS DOS, Lotus to present day technologies like MS Windows 10. There were numerous challenges during our years of transition, but each new move opened the doors to a new opportunity! The best part about our Director, Mrs. Ratna Reddy, is that she ensures positive growth, supports us and is always open to integrating new technologies for the organization. One of the most difficult and challenging situation was one when our website had some technical issues at the server end, my team and me worked continuously for hours together and restored the site within 5 hours, it was a sense of accomplishment and pride. I am a district level Chess Champion, that s the reason that I was introduced to the field of IT years back, when the computers weren’t very prevalent. I first played Chess on a computer and then studied further. It was like immersing into the whirl of technology ever since then, and I have enjoyed it thoroughly. I have a very strong family, which is my support system and the reason for my happiness. Worshiping God gives me strength, peace and tranquility. My favourite destination is Varanasi, I adore its sanctity, and I believe it is the center of energy on the earth! The book that inspires me is the Autobiography of a Yogi. I am grateful to everyone for the immense respect that I get. My team at CHIREC has been my pillar of strength throughout and reason behind my success story here! My best and one of the most memorable compliments was by the Director, Mrs. Ratna that I am a very hardworking person, it encourages me at every stage and motivates me to put in my best foot forward, always! I am L Krishnaveni, Public Relations Officer at CHIREC. My responsibilities include maintaining a complete database of each student at CHIREC, from the time the student enters to the time they leave the school. I coordinate with all departments, communicate with parents, process the CBSE board s registrations data, and assist and coordinate with the admissions team. I have been a part of the CHIREC family since December 1997. I joined as a receptionist at the CHIREC s Kondapur branch and have been moving up. During my journey here, I have had many lovely experiences, learnt many things, and made beautiful friends. CHIREC has groomed me to what I am today – from a receptionist to a professional. Mrs. Ratna Reddy, our Director, has been very instrumental in my growth, she has provided me a strong foundation, taught me a lot, always encouraged and helped me in every aspect, and in fact she has been my pillar of strength! I would always be grateful to her! Two more people whom I will always be indebted to are, Mrs. Manaswita Sengupta and Mrs. Sakeena Ansari, for their ever encouraging motivation and support. On personal front, I have a very loving and supportive husband, 2 lovely children, who are my life! The fond comments from my son, my daughter s unconditional love and their loving gestures make my day and motivate me! I still remember the day when I held my daughter in my hands just after her birth, she was exactly how I wanted her to be. Beautiful as a princess! One of the most memorable moments was when one of our students, Mekhla Singhania s mother spoke about me and thanked me during her daughter s farewell speech and another when Snehapriya, our alumna, thanked me during her Graduation Ceremony! CHIREC is my second home and the very reason that brings an instant smile and sense of pride on my face! I am Sabreen Hussain. I study in Grade 11. This is my 12th year in CHIREC and over the years I ve grown fond of this school and I look forward to coming here every day. My favourite memories of school are probably those of the concerts, one particularly when I was playing the part of Sleeping Beauty when I was young and all the inter-house games since I love to play basketball. This school has given me the opportunity to play basketball at a national level and I’m so grateful for that. I still think about my favourite teacher Veena ma am who taught me in the 5th grade, all those vocabulary tests that we had then, and the class parties we had. I am excited to be a part of the student council this year and I am honored to serve as the Vice-Captain of the Sahyadris. I ve felt a lot of love here and I feel happy that I can give back. This is my second-last year in school and leaving school will definitely be very hard. Hello! My name is Srivani Laxman and I am the Data Coordinator in the IT Department. I joined CHIREC in 2002. I graduated with a MBA in Information Technology and also hold a post-graduation Diploma in Programme Engineering. I am an avid reader of books and thoroughly enjoy gardening. I am a self-motivated person and I believe in perfection and always strive for excellence. My motto in life is ‘Nothing is impossible’. I stepped into the world of education as a Headmistress at a school. But as my passion for technology grew, I decided to move to the corporate world where I worked as an Administrative Officer. But I missed the education field so dearly that my love for schools brought me to CHIREC. My role at CHIREC is quite diverse. I am responsible for the management of the school website, the CHIREC Mobile Application, CHIREC social media accounts, the alumni reconnect, e-designing, photography, videography and data coordination. I enjoy updating content on the social media. It is a tedious process but one that fills my heart with pride. My team and I work round the clock to update our various social media network sites like Facebook, Twitter and tumblr with posts of student achievements, latest happenings at CHIREC and parents led activities at school. Today at CHIREC is our very own version of flash news where the daily happenings on all three campuses are updated on our website within a couple of hours. You can catch short live streaming of events on the CHIREC instagram account or scroll through various posts on the wall. Every week we post pictures from the days of CHIREC inception to the early 2000s as throwbacks from the glorious past. People at CHIREC is a unique feature on our Facebook page where we post a brief write up of our students, teaching staff and non teaching staff, for the CHIREC community to know about us better. Our students have shared their success stories with us and have inspired many readers. We also stay in touch with our alumni and share their achievements, big or small, with pride. We have always encouraged our alumni to stay in touch with us through our alumni portal - alumni.chirec.ac.in. My best moment at CHIREC was during the 20 years ceremony. It was a proud day for me as my hard work and dedication was applauded by all on stage. Another day I fondly remember is when we launched the first CHIREC website under Iffat Ma’ams guidance. CHIREC has always given me a space to take innovative and initiative steps and encourages me to work towards brilliance. I am proud to be part of CHIREC family. I am Elizabeth Mathew, a homeroom teacher at CHIREC since the past 18 years. I am a home science graduate from St.Teresa College in Cochin. I completed my B.Ed. in English from Mar Serverios memorial Training college in Chengaroor, Thiruvalla. I also did PGDCA computer course from my home town – Thiruvalla, Kerala. I enjoy watching movies, listening to songs and wearing Indian clothing. As a homeroom teacher, my typical day is filled with planning and executing activities that include a blend of both curricular and extra-curricular activities. I make sure that all the things are planned properly way beforehand and ensure that the teaching- learning process is an innovative & interesting one. I take care to address the individual needs of all my students and provide them with special help and assistance to learn and complete their work. I understand the importance of a parents involvement in a childs life, and thus I keep the parents of my students in the loop and make it a priority to address their queries promptly. The love and affection we get from our students is praiseworthy and lasts in our memory for a lifetime. This kind of emotion is alien to any other profession but teaching. When our students excel in their exams, or win a prize in a competition or simply learn the value of participation, we as teachers glow with happiness. An incident that I will never forget is from my first batch of students. Mohammed Ayazzuddin, who was the son of the famous cricketer, Mohammed Azaruddin, was one of my students . The kind soul departed this earth at a young age because of a bike accident. But some time after that, I was going through one of my old books, and I found an answer sheet of Ayazuddin in it, written in neat handwriting, brought tears to my eyes. In this long yet lovely journey at CHIREC, there is one person I will never forget, Mrs. Rajyalakshmi. She is a true educationist and has done tremendous work for CHIREC as well as for the society. The most rewarding thing about teaching is that I am a part of the wonderful profession which creates all other professions. The opportunity to serve the society through values of hard work, sincerity and ethics is a wonderful one. Playing a vital role in inspiring and educating hundreds of children who are the future of the world is an experience that cannot be described in words. Hello! I am Ravi Chatrathi , the IBDP & A level – Facilitator of Business Management, HOD of Humanities and the College Counsellor- International section. I joined CHIREC in the year 2012. I’ve pursued M.com, MBA & B.Ed. I enjoy watching movies, playing sports: mostly Cricket, Badminton, TT & caroms, and I have a passion towards acting & directing. Before joining CHIREC I worked in DRS international School as the Facilitator of IBDP Business Management. As a facilitator, I am always making a conscious effort to ensure that my students love the subject. I supervise student research in Business Management and help them with their internal assessments and extended essay submissions, and I can proudly say that my students have performed brilliantly in their board exam. Also as the College Counsellor for Students of stage 9-12, it is my duty to counsel the students in their best interest in selecting the course and universities that best fit their personality. My best moments at CHIREC include the Ice Breaker camp I went to with the first batch of IBDP. Also, the school provided me a golden opportunity to visit Universities in USA which helped me learn the application process to guide students accordingly. But most of all I cherish the Children’s day performances we put up for our students. The one important thing I’ve learned from my years at CHIREC is that, in a school like ours, that is always buzzing with action and radiating unending energy, it is important for the staff to maintain the same level of enthusiasm and vigour in order to do our best! Hello! My name is Karl Pestonji. I am the Facilitator for IB and CIE Psychology and a Facilitator for IB TOK (Theory of Knowledge). I joined CHIREC on 1st June 2015. I completed my post-graduation in Clinical Psychology from the University of Pune. I enjoy Travelling, hiking, reading and spending time with loved ones. Before joining CHIREC I used to work as a counsellor and a teacher. At CHIREC, as the facilitator for IB and CIE Psychology. I also conduct workshops for teachers, parents and students. I’ve also had the chance to accompany the students for the Ice –breaker camp; conducted workshops on parenting for parents of the CBSE and International section; conducted workshops on Mindfulness for teachers and students and headed, planned and executed a ‘Cyclothon for Child Rights’ with grade 12 students of the International section to raise awareness about Emotional Intelligence and the rights of children. ­­­­­ My best moments at CHIREC are when I am in class teaching as well as chatting with them and listening to their stories. This gives me a deeper understanding of my students which goes a long way for both of us. I also felt a great sense of accomplishment after successfully organising the ‘Cyclothon for Child Rights’ with grade 12 students of the International section. The time I spent planning this program with them was thoroughly enjoyable. In theses 2 years I have spent at CHIREC I have discovered different aspects of myself. The students here are wonderful individuals and so are the teachers. There has definitely been a lot of learning and unlearning. My name is Deepa K. and I am the Publc Relation Manager at CHIREC and have been here since 2012. Everyone was very warm even at the first day so it has always felt familiar and after all these years here I am emotionally attached to the school. I am a highly experienced and energetic person who always tries to take an initiative for any task. As part of the PR team, I work with a variety of experts from different departments coordinating admissions, workshops and events, internships and field trips. My most cherished moments here include building relationships with the CHIREC parents who I happen to meet throughout the year. They always have words of praise for me and CHIREC and believe in out work. I have met the most inspirational women at CHIREC who have helped me incorporate positive attitudes. Mrs. Ratna’s leadership is awe-inspiring and her words of encouragement are energy boosters. Mrs. Manaswitha’s helpfulness and advice cannot be expressed in words. Mrs. Iffat’s optimism has taught me to see the bright-side of everything. And lastly Mrs. Ramani has taught me to move forward with unending motivation. Thank you all! Benjamin Franklin once said “An Investment in knowledge pays the best interest”. I have always agreed with this quotation 100% and that is one of the reasons why I chose to work in the education field. I am Santoshi Medisetty with a MBA and MA (PPM) post-graduation. I have close to 12 years of experience in HR and Recruitments. I work as the Assistant Manager of Human Resource and facilitate the Recruitments at CHIREC. It’s been 3 years of association with the CHIREC family. There has been a lot of learning with every organization I worked with but with CHIREC, it is something different. I have transformed myself as an individual and have learnt to be more patient. I see smiling faces of children everyday while they come to school and few of them are my friends too. CHIREC is a great platform for children to develop their personality and formulate themselves as Individuals. As a HR I have been meeting hundreds of people during interviews for both Academic & Administrative staff, and I feel proud to take good feedback about the organization and students of CHIREC. I have always adored our Director Ratna Ma’am and take her as my role model. My heartfelt thanks to her for considering me to be a part of her family. Hello! My name is Sandhya and I am the HOD of the Computer Science department in the International Section at CHIREC. I graduated from Loyola Academy, Hyderabad and completed my MCA from IGNOU University after my marriage. I have been teaching for nearly 15 years. This profession is truly satisfying. It taught and continues to teach me patience and the skill of understanding people. When not teaching, I love reading books, cooking, listening to music, and singing. 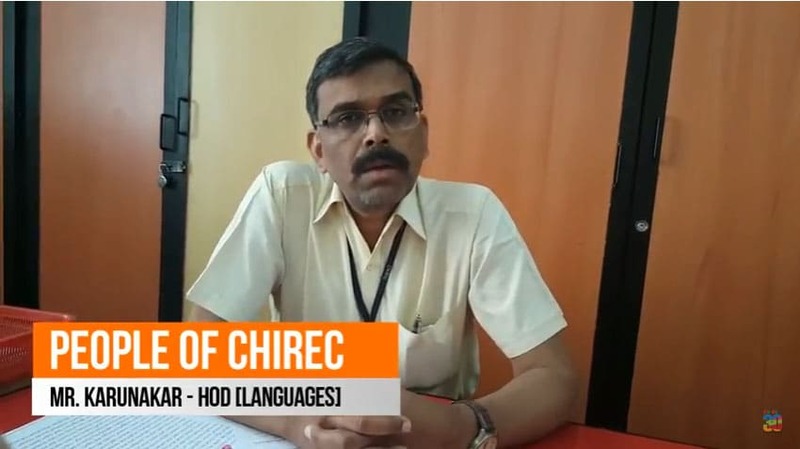 I joined CHIREC in the year 2011 as the PGT teacher in the CBSE section and was responsible for teaching the subject “Informatics Practices” for classes 11 and 12. I am grateful to the Principal Mrs. Iffat Ibrahim for her guidance at all levels. Her professionalism and eye for detail is something that I admire and hope to imbibe it in myself. I transferred to the International branch in 2016 and I am now the IGCSE and IB facilitator. Here I teach computer science to the students of Stage 9, 10, As & A Level and IB. This transition was the biggest challenge for me as I entered a totally different arena of academics and methods. It was quite overwhelming in the beginning but with the support and guidance of the Principal Mr. Joshi and Vice-principal Mrs. Ragini, I am now finding it comfortable. Mr. Sharma, the IT manager has been a good guide and mentor. I am ever grateful to all my colleagues and in charges for their support and patient guidance through the understanding process. Working in CHIREC has changed me in many ways. Two most important ones that I would like to mention are that it made me more confident and multi task. I was always hesitant to move out of my comfort zone but CHIREC made me a risk-taker and accept challenges. It is here that I learnt how to prioritize work and face any situation. My mantra has always been “SINCERITY, HARD WORK AND HONESTY”. I believe that it never goes unnoticed. My name is Harriet Krupa and I am the Primary teacher at CHIREC. I studied in Stanley and Wesley Degree College. My journey at CHIREC so far has been a memorable one. Working here provides me with work satisfaction, opportunities for professional growth and lots of encouragement and guidance from mentors, in charges and the Principal. As a teacher, I ensure to teach lessons to children using specific teaching methods to suit my students’ needs. I enthusiastically support my new colleagues and strive to build healthy relationships with all. I like watching inspirational movies and videos and love to read books. I browse the net and read articles which interest children and youth. I love singing and I am the worship leader for the choir. I can never forget my Dad - the most loving and inspiring person in my life and also my role model. He taught me many things to be a good example, to teach to make a difference in a student’s life and to live full of hope and curiosity. I’ve always believe not to judge people by their looks but to try to look inside their heart. That’s where you’ll find the real person. I am Vinay Chakravarthy, the Archery Coach at CHIREC. I did my graduation in commerce and completed my Masters in Business Management. I have been as an archery coach for 15 years associated with CHIREC since 2004. Sports have always been a part of my life since my school days. My love towards sports encouraged me to complete my NIS in Archery and B.P.Ed. I’ve always been passionate about Archery and have a zeal about working with students and sharing my knowledge of archery with them. I believe true sportsmanship is when one acquires confidence; discipline and sense of accomplishment. Archery is a great sport for boosting mental and physical health and fitness. However, it also has a number of other benefits, like improving patience and concentration. CHIREC was the first school to offer Archery as an activity 15 years ago. Every year our students participate in different competitions at State and National Levels and bringing laurels to the schools. CHIREC has always provided me with immense opportunities for professional growth. I thoroughly enjoy every responsibility given to me by the school which includes my classes, maintaining discipline in school, organizing and participating in different events. I wish to sincerely express my gratitude to Ratna Ma’am for all the professional development I received while working here. I believe whatever success I achieved in this organization is because of her guidance and support. I received valuable lessons, some of which I learnt by merely observing her leadership quality and self-discipline. I have grown from a novice to a thorough professional, boosted my confidence and has prepared me to take on new challenges in my life. I am Shaza Akhtar, the English language and Communicative English teacher in the International section at CHIREC. I joined the team in the November of 2015. I hold a masters degree in English literature from Madras University, a bachelors degree in education from Osmania University and a certificate in English language teaching (CELTA) from Cambridge University, UK. I did my schooling in Saudi Arabia. Before joining CHIREC, I worked as a freelance English language trainer in UAE and India. I’ve tried my hand at teacher training and teaching business English as well, before finally agreeing that there is no place like a school! I occupy myself with reading, writing poetry (occasionally), playing word games, baking, socializing with the e-fraternity or sometimes just simply playing with my cat. I am working on a short-stories series and a novel, and hope to finish and publish them soon. Ever since I joined CHIREC, there has never been a dull moment in life. While I keep myself busy helping out with various activities and events happening around the school, I am entrusted with many projects too to prove myself. And for that I have my seniors, in-charges and principals to thank, for having faith in me. Although I thoroughly enjoy every single one of my multiple duties in school, the best time I have is with my students. I teach all stages from 6 to 8 and in each stage it is impossible to even slightly favour one over the other as every class has its own unique set of traits that are awe-inspiring and adorable at the same time. I am the class teacher for C8B and I glow with pride at every big and small achievement of theirs. It might sound a little too cliché but my students have touched my life in different ways. Every single moment I’ve spent with each one of them has been delightful, insightful and beautiful, only to get better with each passing day. I look forward to many more educative and enlightening moments with them in the days to come. Iam Mrs. Madhukanta. I am the Hindustani Music teacher at CHIREC since the year 1999. I remember fondly, back in the day, no other school in the twin cities provided so many extra-curricular subjects under one roof. It felt great to be able to inspire young minds to pursue their musical ambition even in school. I would start my school day with a freshly squeezed glass of lemonade and a hot breakfast back then. The school campus was small but lovely, set in a pleasant scenic atmosphere, away from the hustle of this bustling city. Right from the year Hindustani music was started at CHIREC, our students have competed at inter-school, state and National level competitions. While I beam with pride at the achievements of my students in these multiple competitions, I too have quite a few achievements to feather my cap. Of the many competitions, one of my fondest memories is the participation in the National level competition, sponsored by Bharat Vikas Parishad, in the semi classical Raagas; where I was awarded a medal and honors. I also had the privilege to attend a National level camp at the Sri Sri Ravi Shankar Ashram at Bangalore. As a Music teacher , I have gathered a lot of fond memories in my journey with CHIREC. These 17 beautiful years here have been enriched by the able guidance and encouragement of our director, Mrs. Ratna Reddy. She has always been supportive and has never ever denied us permission to participate in any competition, big or small. For this I would be eternally grateful to her as she has fueled the learning experience for me and my students. I am indeed proud to be associated with this institution. My name is Vrishank Singhania. I am currently in Class XII. I have been studying in CHIREC since 2008 and it is been an amazing journey. CHIREC has given me a plethora of opportunities in diverse fields right from debating to music and numerous inter-school competitions. I am a passionate debater and MUNner. I was involved in organizing both CHIREC MUN 2015 and 2016. My interest in Model UN started back in Class 7 with a Model UN club that had started in school. Those sessions really helped me hone my skills and my active participation in Model UN over the last five years has transformed the way I think. I have also been very active in the field of music. I am a violinist and have played with several ensembles and orchestras. I recently gave a TEDx Talk and I am sure I would not have been able to give that talk without all the exposure and support that I have gotten at CHIREC over the last eight years. I have had amazing teachers who have been my role models and taught me so much- both in academics and outside. I am Tulikaa Mahajan. I teach Social Science CBSE at CHIREC. I hail from Batala,Punjab.I have been teaching at CHIREC since September 2009 and have been in the teaching profession for past 17 years. I have grown along with CHIREC with the influence of good qualities like tolerance, forgiveness, team spirit, coordination, moral and emotional support and all this has helped me in forming a strong bond with the colleagues, in charges, children and non-teaching staff. Initially I was apprehensive whether I will be able to cope up with challenges of being a CHIREC teacher. New timetable every week, documenting each incident, incorporating a variety of teaching strategies in lesson plans, planning and then executing them - it is a mammoth task. I like cooking, traveling, reading books and making new friends. Affection displayed by students here is contagious and you are remain untouched by their warmth. An unforgettable incident is “Waves of Change” Campaign, when I was given task to set up “Akbar’s Darbar” with Aman Jain Tholia, Purvi, Bhavana, Ishika Rati, Sahitya Ramkumar, Darshana Mangalani, Rounak were among that team of 18 motivated students who had put in their heart and soul in the event and made it The grand success of the Waves of Change campaign. The support of my Social Science Department was heart whelming, I met with an accident in 2014 and the moral support which I got from my colleagues all is unforgettable and overwhelming. I am always grateful to the management for giving me the opportunities to become a 21st century facilitator and be a part of this wonderful environment. The Management has always been very supportive to its staff whenever needed and keeps encouraging and appreciating good work. My name is P. Krishna Murthy and I am the DTP operator at CHIREC. I graduated with a B Com degree from Adoni Arts and Science College in Adoni in 2002 and worked as a computer teacher in a private school. While there, I saw an advertisement in the Deccan Chronicle about vacancies at CHIREC School. I applied for the job, attended the interview and became a part of the CHIREC family from March, 2008. The education field has always allured me. I believe it is one of the most noble professions as it emphasis on the betterment of the society. The most rewarding thing about my current position is that I get to contribute to the noble cause of education. CHIREC works towards inspiring the future generation and it feels great to be a part of it in my own unique way. One might wonder what the job description of a DTP operator is. Well it is my job to edit, sort and print all teaching materials required by the staff in the CIE block. Printouts for class use or events, typing letters, scanning, photocopying, printing worksheets and question papers, notices, you name it! I like my job and I am pretty efficient at it. But I also realise it is a very serious job too. I have to be very careful about the spellings on each print out, the efficient use of paper and trying to use as little paper as possible to save our environment. We also reuse paper a lot so I can proudly say we never waste much. I really appreciate the help of the printing room in-charge- Mrs. Sunitha, my colleague- Mr. Chandrashekar and the printing room assistant- Ms. Kumari. I am quite a silent worker, and I do not believe in interfering in others work. But I do try and help my colleagues in whatever way I can help, whenever I can. I do not complain about others unless, I am being put in a fix where the other blames me for no fault of mine. I am a very jolly person. I maintain good rapport with everyone. I am humorous and enjoy cracking jokes and making light conversations. I am good with languages, and I try bettering them every day and learning new ones whenever I have the chance to. It is almost 9 years at CHIREC already, my time here has been a very pleasant one that it feels like it was just yesterday that I joined. I think if you put in sincere and dedicated efforts in your work you will make it past all obstacles with a smile. In my leisure time, I watch TV or catch up on movies. I enjoy listening to old songs, especially R.D Burman’s. I am not a sports enthusiast but I love cricket and can safely say that I am good at it as well. I also make it a point to dedicate some of my free time to help out the society as well. I am always on the lookout for opportunities to help out those less fortunate. Dhanya Prasad, "I study in Grade IIC and CHIREC is my favourite place to be! I presented a Kuchipudi dance performance in our assembly today. Initially, when I landed on the stage, I was anxious and nervous, thought I forgot all the steps, but then I looked into my sister eyes and everything came back to me! I have been very excited all week long to perform and practiced my dance all day yesterday. I have been learning dance for last 2 years. I do not know why I felt nervous today, maybe because this was my first performance in the school. The best feeling was when everyone applauded my performance with a loud CHIREC Clap , something I had been doing for others in the assembly every day! I know I did my best and made everyone proud." Hello, my name is Usha Koduri. I teach the fairly energetic students of Grade 2 in CHIREC. I graduated holding a Master’s Degree in English Literature, as well as a PG Diploma in Business Management from Panjab University, Chandigarh. I also played Basketball in my college days, and worked up to a spot on the AP state team. I thoroughly enjoy listening to music, painting as well as gardening. I am also a strong animal-lover. My association with CHIREC dates way back to June 1999. I started my career as a Pre-Primary teacher and pursued for about 14 years. The school has given me an opportunity to prepare the curriculum books for the children, which they are following till date. Pre-Primary has always been my heart and soul. I learnt a lot of skills, and enjoyed the experience of building young minds who shower their unconditional love and respect. I then transitioned into Primary teaching, which is equally enjoyable. I actively participate in organizing in-school events. The never-ending support and encouragement I’ve received from the director, Mrs. Ratna Reddy, my in-charges, students, and teachers, have meant the most to me. The long 19-year journey at CHIREC has given me a mountain of experiences, invaluable growth as a person and teacher, and above all, a deep satisfaction that I would cherish all my life. My name is Aanya Khandelwal, and I am a student of CHIREC studying in Class XI. I have come a long way in the past 16 years and CHIREC– my school, my comfort and my second home has given me the best opportunities, my best friends and the best years of my life. Being the President of the Interact Club at CHIREC, this year has been the most rewarding experience for me. I started as a member of the Club in Grade VIII and went on to be a part of the Club in various capacities in the past few years. Under constant mentorship of Venkat Raman Sir and Nagulmeera Sir, along with the 100 members of our club, we have exceeded our expectations in undertaking several activities and fundraisers such as the CHIREC Energy Conservation Drive, Inter-Government School Sports Day, Spectacle Distribution in slums, and celebrating all the important days of the year with the children at government schools and the MNJ Cancer Hospital. There are more than 20,000 Interact Clubs and 4,50,000 Interactors all over the world, but we are here to make a small but significant difference by undertaking activities that can help enrich the lives of others.Apart from ensuring that I reach my academic goals and making me realize the importance of giving back to society, CHIREC has also developed and nurtured my passion for basketball and has ensured that our team gets all the support we need to excel in this field. The school has always opened doors for me in all our initiatives, in terms of guidance and infrastructure. Their support year after year, has given us the boost we require and has helped us grow at each step. I am M. Shanti Rao, and I teach Social Science to Grades IX and X. I graduated from Osmania University and I hold Masters in English Literature and History. I completed my B.Ed. from IGNOU. I am passionate about teaching, and this has been my source of inspiration for the past 18 years. My association with CHIREC dates back to June 2008 and it has been an enriching and a fulfilling journey for me. Being a teacher at CHIREC has made me more knowledgeable, compassionate, tolerant, empathetic, approachable and an emotionally balanced person, ready to take challenges head on, confidently and competently. This has also helped me to connect myself with the students and develop a better bonding with them. The student, who are the most dynamic forces of the institution are the best motivators at CHIREC. They have the drive, the skills and the quest to excel in all the fields. Keeping these qualities in mind, I have always planned and organized different teaching - learning strategies, and ensured the students’ interest in the subject. I also feel rewarded when my ex-students call me to share their achievements as well as their fond memories of the school. At this juncture, I recall the support I have received from our respected Director, Ratna Reddy Ma’am, Venkat Raman Sir, Sameena Hasan Ma’am and all my colleagues. I faced my worst time of my life in 2013, when I met with an accident. I got immense support for which I will always be grateful to them. I am very proud to be a part of this prestigious institution and shall always strive to take CHIREC to greater heights of glory and achievement. I look forward to a long and a fruitful association with my wonderful school. I am Suparna Baidya, IGCSE and IBDP Facilitator for Environmental Management and Environmental Systems and Societies respectively apart from being the Head of Department of the Social Sciences Department for CIE. Born and brought up in the Steel City of Durgapur, West Bengal, I did my graduation from Banaras Hindu University (BHU) and Post- Graduation in Geography from Burdwan University of West Bengal. I got ample of opportunity to visit few interesting places, interact with different types of people and taste different types of food. I have also been passionate about singing since childhood. I feel proud to be associated with CHIREC, which will step into its glorious 30 years in 2018. It just seems like yesterday when I was new to the school and preparations were underway for Silver Jubilee celebrations in 2013. My first year in CHIREC was a year of great learning when I was entrusted with the responsibility of completing one of the 7 projects for the International School Award (ISA) along with my team of few other teachers. We had fun learning along with the students when we got an opportunity to collaborate with one of the schools of South Korea through teleconferencing. The students of CHIREC International are always a step ahead in every field, are very energetic, enthusiastic and open-minded. I am thankful to the Management of CHIREC who trusted me and gave me an opportunity to teach IBDP apart from teaching IGCSE. I would like to thank the IT team for being so good and helpful to me at my initial days, Ms. Iffat Ibrahim, Principal of CHIREC, who guided me whenever I had approached her, Ms. Ragini Suri of CIE, whose kind words always made me feel comfortable, Mr. Omkar Joshi, Principal of the International Section, who always has a solution to every genuine problem I have faced till date and above all Ms. Ratna Reddy, the Founder and Director of CHIREC International School, who has always motivated every member of the CHIREC family and made sure that we work as a Team. CHIREC is the most reputed in the twin city and in the state of Telangana as it does not believe in compromising on its quality. This is what motivates me to be dedicated and committed towards my work, impart good values to the students and be cooperative towards my colleagues. I am Leena Daisy S. and I teach Primary students at CHIREC. I graduated in Science from St. Theresa’s College, Eluru, Andhra Pradesh. I have done my B.Ed from A. L. College, Nagarjuna University and MA English in Literature from Andhra University. As an individual, I am patient, organized and strive to be perfect. I enjoy reading books and painting in my spare time. I have been teaching for 17 years. My time spent at CHIREC has helped me to grow as a confident person and nurture my skills and has given me immense satisfaction personally and professionally. I have enjoyed handling all the responsibilities given to me. As a teacher, I try to address to the needs of every student, help them to learn with ease and see to it that all of them are given a chance to contribute. I feel happy and proud when my students come to wish me and share their experiences. My most memorable moment was when I rejoined CHIREC after a long leave, my students Sneha and Anumita who were in Grade 12 by then came running to meet me. I believe that a teacher should be an enthusiastic learner, adept at interaction, and caring towards her students. As a primary teacher, I have attended many professional development workshops which have taught me about academic planning and implementing them accordingly. I thank our Director Ms. Ratna Reddy for believing in me, Ms. Iffat Ibrahim for her guidance, my Incharges and colleagues for their support, my family for their encouragement and my students for their love. I am Shahana Khan. I did my Bachelor of Arts, Bachelor of Education and Masters in Economics from Osmania University, Hyderabad. I have also done my Masters in English Literature from EFL University, Hyderabad, and completed Cambridge International Diploma Teachers Training from Cambridge University and Diploma in Computer Applications. I come from a family of educators in Hyderabad. As a child, I was always fascinated by my aunts and uncles who were educators. I have twenty years of teaching experience and I joined CHIREC in 2005 as a primary teacher in the CBSE curriculum and then had a smooth transition to teach the Cambridge curriculum. I have attended seminars, teachers’ training programs conducted by Cambridge University which helped me to keep myself updated and stand able to deliver Twenty first century skills to learners and help them become global citizens. I look forward to learning and implementing my knowledge and skills in the best of ways. I feel education is the most powerful weapon which you can use to change the world. I believe in always following my dreams and believing in oneself. I am Prithvi Sinha. I am a Teacher of English language and literature. My love for literature and my desire to teach in a school instead of a college has found unison in the IB Diploma Programme here at CHIREC. It has been a roller coaster ride ever since I joined CHIREC over twenty months back. Working at CHIREC has been an enthralling experience, be it the ten-day staff development programme at the very start of the year or the wrapping up of the box files in the last fortnight of the academic year or even the staff picnic – the atmosphere is always electric. Looking at the academic exchanges that I have experienced here is largely due to the students here, curious as well as quick-witted. With every class this realization became more intense and the so-called personal time of a teacher became more and more about research. Apart from the classroom interactions, what CHIREC has included, decidedly, into my everyday thoughts are a debate club and a platform to create Quizards. In those last twenty months, already, I have taught all the six grades in middle and high school and this has helped me to know those young minds in proximity. This has also opened my mind towards the knowledge of differential instruction which I feel is the need of the day in this postmodern condition of the world. In an atmosphere devoid of intimidation, which I must credit to the coordinators here, I want to make sure that I impart the lessons that I have learned to my students and leave the right footprints for the futuristic.